MONTREAL, QUEBEC, January 18, 2018 – Toyota Canada is ready for 2018 with a full range of models designed to inspire and impress. 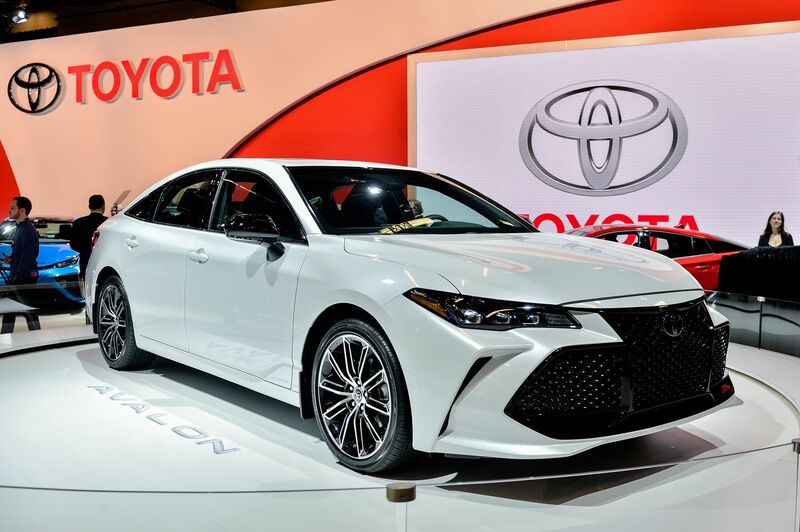 Headlining the exhibit at the Montréal International Auto Show this month, Toyota gives Canadians their first look at the all-new, 2019 Toyota Avalon – the flagship, full-size sedan that breaks with convention – plus advanced-tech vehicles and other fun to drive, stylish rides. Making its Canadian premiere, this flagship vehicle breaks with full-size sedan convention – exuding a daring personality with a more youthful and vibrant design. Avalon’s new look is matched by impressive engineering to deliver dynamic performance – including best-in-class handling. Inside Canadians will enjoy best-in-class roominess and a full complement of powerful, easy to use technologies such as Apple CarPlay, Entune, and more. The new Avalon is also expected to be best-in-class for safety and fuel economy. Introduced at last year’s show, Toyota Canada launched this plug-in hybrid with a market test in Quebec in 2017 – and the response was incredible, with more than 700 sold in less than seven months. Based on this success, the Prius Prime will go on sale across Canada this year – letting drivers from coast to coast discover what it means to be able to travel for more than 1,000 km on a single tank of gas and a full battery charge. Making its North American premiere, the Toyota Kikai concept vehicle takes the machinery that’s normally hidden from view in an automobile, and makes an open display of its beauty. The design is driver-focussed so that the technology behind driving can be directly perceived with the senses. This gives the driver a more instinctive sensory connection with the vehicle. Quebeckers love smaller vehicles, and many have made space in their driveways for the fun-to-drive and easy to own Toyota Yaris. To celebrate the launch of the 2018 Yaris and recent victories in the World Rally Championship, Toyota has created a bolder, more fiery version of this popular three-door hatchback. The Yaris Rally Look project boosts design and performance, while maintaining Toyota’s reputation for quality, safety and efficiency. The 2018 Montréal International Auto Show takes place January 19-28 at the Palais des Congrès de Montréal.